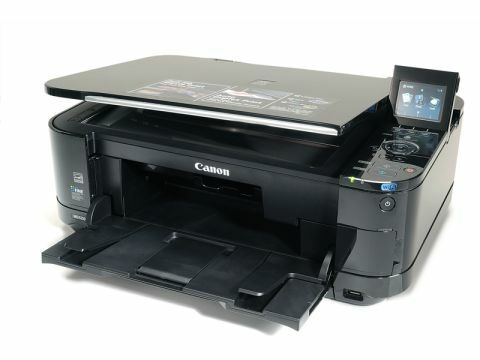 As you might expect from a Canon printer, the Pixma MG5250 has clearly been designed with amateur photographers in mind. Thankfully, it does photos justice with excellent colour reproduction, especially when printing on photo paper. Photocopying is also fast, quiet and accurate. A photocopy of hand-written notes was practically indistinguishable from the original; as with the Brother MFC-J6510DW, subtle details were picked up perfectly. Even with more complicated documents, the Pixma MG5250's copying function produced very good results, proving equally adept with documents and photos. Scanning is impressive, with resolutions up to 600dpi. While the more expensive all-in-ones can scan at much higher resolutions, the resultant file sizes are very large. If you don't need incredibly detailed scanned images, the Pixma MG5250 will suit your needs perfectly. Although it's one of the cheaper all-in-one printers, it doesn't feel like Canon has skimped on many features. Along with print, scan and photocopying, the Pixma MG5150 has wireless connectivity and the ability to print directly to blank discs. The device is controlled via easily identifiable buttons and a menu wheel similar to the one found on old iPods. Unlike most budget all-in-ones, it has separate cartridges for each colour, which means better quality colour prints and cheaper running costs, because you only need to replace colours as they run out rather than replace them all at once. The device also supports duplex printing, which uses both sides of a sheet of paper. The Canon Pixma MG5250 exceeds expectations in many areas, and offers quality and features that you wouldn't expect for under £100.